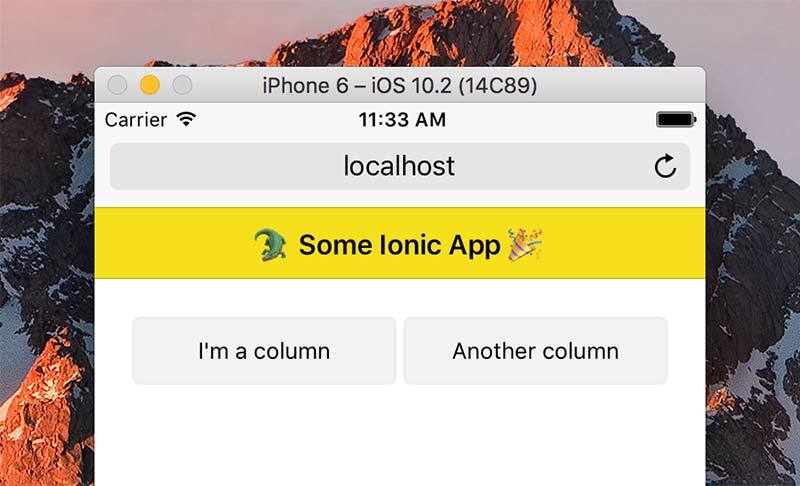 Ionic comes with a built-in grid component system that allows you to create just about any kind of layout for your apps. Behind the scenes the grid system uses Flexbox to layout the items, so everything behaves as you would expect with creating a layout with flex containers and flex items. You’ll notice that by default the columns are of equal width. You can change that behavior by using width attributes on the ion-col elements. The available attributes are: width-10, width-20, width-25, width-33, width-50, width-67, width-75, width-80, width-90.